• We will discuss your situation and the short sale process in detail, explaining all of your available options with you. A short sale is not always the best option in every case. • Provide you with the required forms and documentation from your lender in order for them to process the short sale of your home. • Answer any of your questions you may have throughout the entire process. • We will customize a marketing plan in order to attract buyers to your home and help get it SOLD! • We will work directly with your lenders to negotiate the short sale, and present all required documentation. • If needed, we will also work to delay the foreclosure process while working with your lender, and possibly keep you in your home longer. • We will work hard to get you fully forgiven the deficiency with your lender. If you are looking to buy, sell or short sale a home or would just like to know more information, please feel free to call one of our agents at (951) 736-7499. 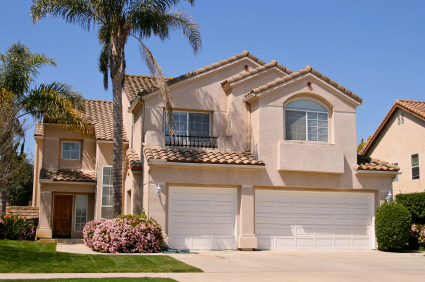 Why hire a Certified Short Sale specialist? Buying or selling your home is undoubtedly one of life's most important events, one marked by many challenges, obstacles and rewards. Choosing the right realtor is a crucial step to ensuring you get the outcome you desire. Unfortunately, there are a lot of Realtors out there who are not telling the truth when they say they can manage a short sale. Then they don't or can't perform, leaving you with a possible foreclosure situation. Or, you may find an agent who just refers you to another agent that has some experience. You can only hope this person will work hard to help YOU and is not just concerned about their commission. The truth is short sales can be time consuming and not every agent has the knowledge, patience or expertise to represent YOU. Make no mistake, short sales are hard work. As Certified Short Sale Experts, not only are we thoroughly trained in the areas of short sales, we genuinely CARE. As agents, we have dedicated our time and effort to understanding the issues distressed homeowners are dealing with. We understand the full range of solutions available and we're ready to help YOU. While experiencing financial distress is difficult for anyone, the process of finding a qualified real estate professional shouldn't be. Choosing The Galang Team /Your Choice Realty & REO Specialist as your agents and advocates ensures you are dealing with professionals ready and willing to address your unique needs.